Federal employees got zero dollars on their paychecks. Air and water quality monitoring ceased in some communities. Trash accumulated at national parks. The consequences of the current government shutdown are severe and enduring, and will only get worse as data collection stops, laws and rules go unenforced, and people who need services cannot get them. Already, people cannot pay bills, and do not know who to turn to for help. Only those oblivious to the realities of today’s working families would think otherwise. Yet, the Commander-in-Chief is willingly holding Americans hostage to make a political play. After the election, President Trump fears losing his voter base, so he has put his need for a political “win” before the needs of every single American. The number of people trying to cross the border illegally has dropped since 2000. Those seeking asylum need help and seek to enter the U.S. legally. The threat of terrorism is at airports, not the border, and most drugs come across the southern border through legal ports of entry. The solutions to our immigration, drug, and terrorism challenges on do not involve a wall. Truth is, most Americans do not want a wall, even if they do want changes in immigration policy. The fight over nearly $6 billion is absurd since most estimates say that a wall would cost $25 to $50 billion or more, a huge price tag for something that Americans do not want. So what does cost $5 billion? This government shutdown. In fact, the cost of the shutdown may already exceed $5 billion, and its negative impact on the economy will only get worse. Yet even as federal workers scramble to pay bills by draining savings, taking out loans, scrambling for fill-in jobs, and even selling personal possessions, the Trump administration found money to keep promoting its drilling agenda in the Arctic. Here in Alaska, the Bureau of Land Management–despite closed offices, and no one answering calls or emails–held public hearings on its proposal to develop a new Integrated Activity Plan for the National Petroleum Reserve-Alaska, or the Western Arctic. The goal? To open protected areas to drilling, including the globally vital wetlands of Teshepuk Lake, the largest in Alaska’s Arctic. (Note: On Jan. 31, the comment period was extended to Feb. 15). The comment period ends Jan. 22, despite requests for an extension due to the shutdown. I encourage you to learn more about why we need to protect these vital areas and how you can submit comments. Fortunately, similar public meetings on leasing in the Arctic National Wildlife Refuge were postponed due to public and political pressure, but let’s be clear: This administration will readily shutdown jobs, services and our economic health while funding business as usual for big fossil fuel companies. You can bet this administration is continuing to rush through agency processes on the Arctic Refuge, since it, too, is driven by a political payback to industry, not the people. Right now, the President serves himself and industry elites, not the public. And too many of our legislators are being led by the nose by someone who either does not understand or care about who or what is harmed along the way. Consequences be damned. We will continue to remind decision-makers that they work for all of us. Consequences matter. Last month the Trump administration dropped a hasty and inadequate draft environmental impact statement to steamroll oil and gas drilling in the coastal plain of the Arctic National Wildlife Refuge. You can comment on that draft now. 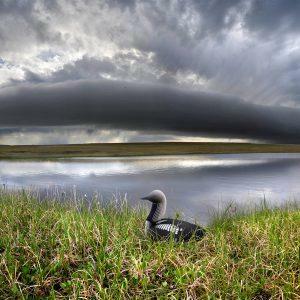 The public comment period on the integrated activity plan for the Western Arctic ended, but you can speak up again to protect vital Arctic wetlands, coastal areas, and wildlife habitat. 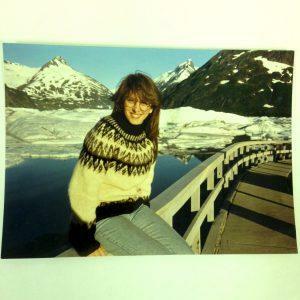 Tracy Lohman arrived in Alaska on summer solstice 1990. For her, falling in love with Alaska means protecting it.